Due to the nature of video presentation, not all concepts, statements and visuals are supported with the subtle details deserving of such a complex topic. Download the annotated transcript to the video, with footnotes and details about the design presented here. Intersection capacity implications of added bicycle signal phases. Non-MUTCD compliant signalization schemes, such as the leading bicycle interval. Truck turning requirements for freight movement. Bicyclist deflection at corner islands and impacts to operating speed. Interaction between bicyclists and pedestrians. Considerations for pedestrians with disabilities. See below for examples of intersections from around the world using similar elements to to the design shown here. These design elements are uncommon in the US, and have had limited professional or academic study here. Existing resources from bloggers, advocates, and students offer a great start to understanding these concepts further. Mark Wagenbuur’s 2011 video on dutch junction design presents a great summary of dutch practices at intersections. 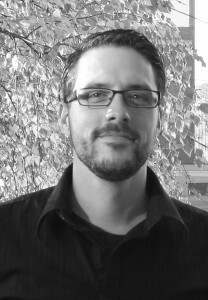 His excellent Bicycle Dutch blog is a fantastic resource across a wide spectrum of policies and practices that makes bicycling in the Netherlands so successful. 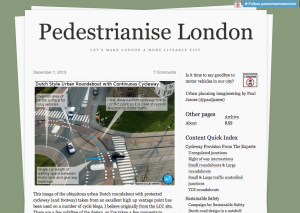 Paul James’ blog about improving streets in the UK features a series of articles adapting Dutch design manual practices to UK conditions. See his post on Traffic-Controlled Junctions and Small Traffic Controlled Junctions for his discussion of these types of intersections. 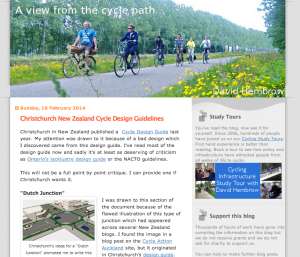 David Hembrow’s educational blog about bicycling infrastructure in the Netherlands features excellent presentation, discussion, and critique of bicycle infrastructure. A frequent critic of planners and engineers passing off custom designs as poor imitations of true dutch design, he offers Cycling Infrastructure Study Tours for those who want to learn about dutch design practices first hand. 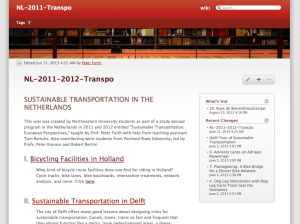 A class wiki page from Professor Peter Furth of Northeastern University breaks down the elements of dutch bicycle infrastructure. Students document, measure and reflect on the on-the-ground designs they experience first hand during their study abroad program. Key related pages include: Signalized Intersection with Cycle Tracks, and Dutch Intersection Design with Cycle Tracks. The body of research to support these designs is growing every year. The list below is a work in-progress, intended to identify key supporting studies, literature, and guidelines on this topic. 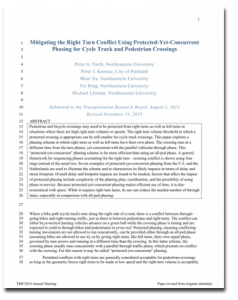 Mitigating the Right Turn Conflict Using Protected-Yet-Concurrent Phasing for Cycle Track and Pedestrian Crossings by Furth, P., Koonce, P., Miao, Y., Peng, F., Littman, M. submitted to the TRB 2014 annual meeting. This paper explores a “protected-yet-concurrent” phasing scheme in which right turns as well as left turns have their own phase. The bicycle crossing runs protected from the turn phases, yet concurrent with the parallel vehicular through phase. This phasing scheme is far more efficient than using an all-ped phase. Seven examples from the US illustrate the impacts of such a configuration. The December 2013 Interim Approval for biycle signals opened the door for simplified implementation of bicycle signals under certain limited conditions. 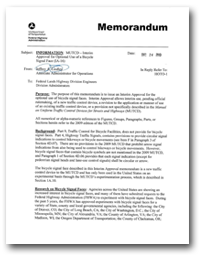 However, use of bicycle signals for simultaneous green or leading bicycle interval phasing is explicitly prohibited by the approval, and requires an experimentation process by the FHWA. CROW. 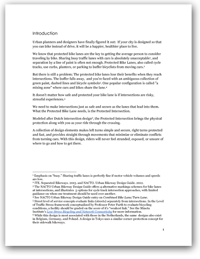 Design Manual for bicycle traffic. 2007. The Dutch CROW Design Manual for Bicycle Traffic is the national guide to bikeway network and facility design in the Netherlands. 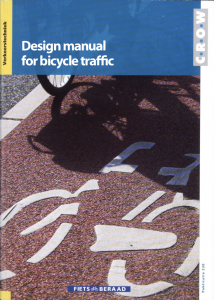 Built off decades of experience in designing for bicycle users, the CROW manual describes design dimensions and considerations for bikeway implementation, including guidances for bent-out bicycle crossings, bicycle turn storage areas and bikeway signalization. 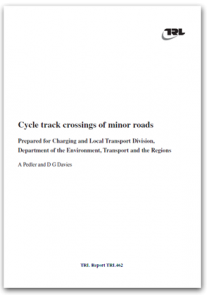 D Pedler, A; Davies, G. Cycle track crossings of minor roads. 2000. TRL Report462. 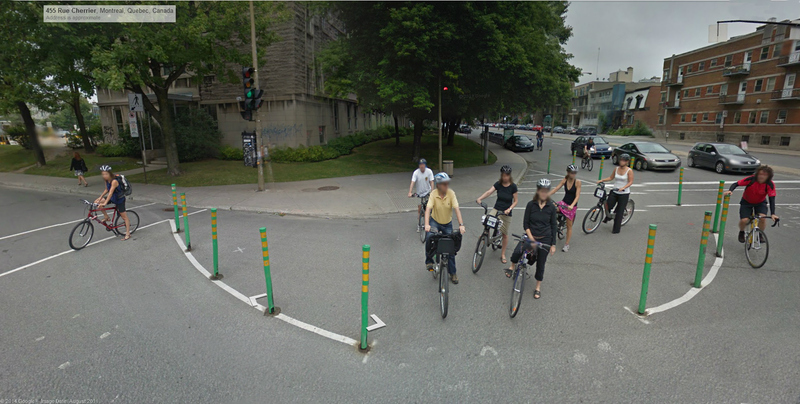 This study compares three different strategies to cycle tracks at intersection approaches, including bending out the cycle track to create a setback crossing. The Pedler and Davies analysis focuses on minor street crossings, but their findings may also apply to larger intersections with permissive turns across the cycle track. The analysis describes the setback crossing as ideal, although indicates that there are many additional important details that influence proper yielding behavior. 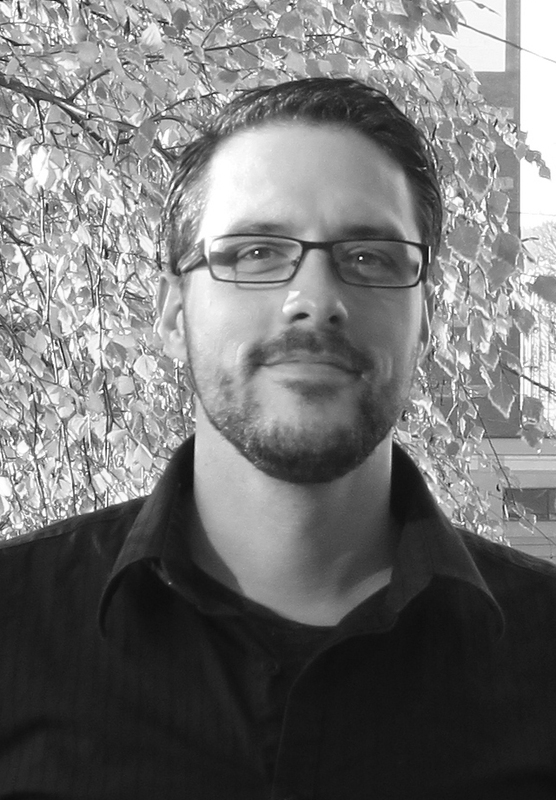 Nick Falbo is a Senior Transportation Planner and Designer at the City of Portland Bureau of Transportation. All views expressed here are my own. 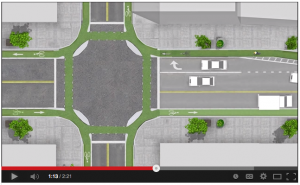 The concepts presented in the Protected Intersection for Bicyclists video are exploratory and experimental, and do not necessarily reflect the position or endorsement of my employer.